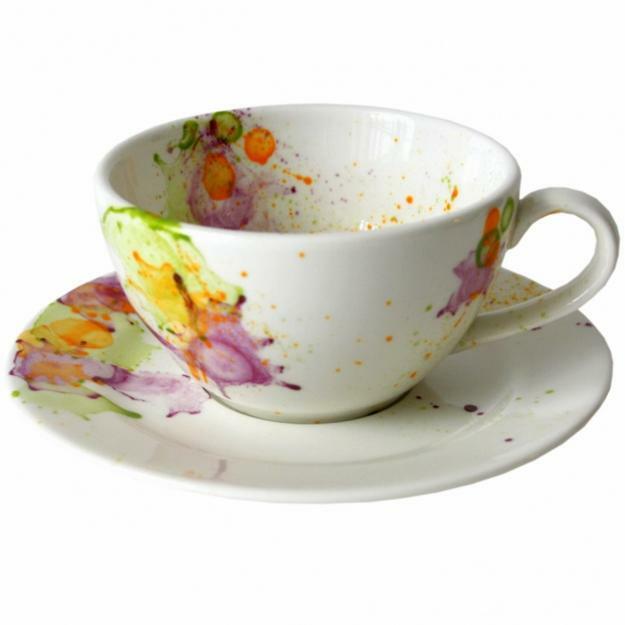 White tableware look more interesting and stylish with gorgeous and colorful watercolor splashes. Elegant table setting with simple decorations and colorful tableware make dining more festive, pleasant and beautiful. 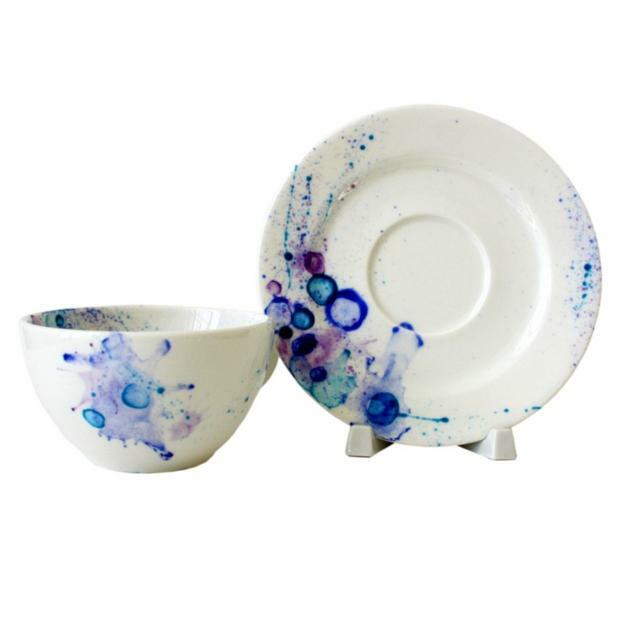 Russian designers create wonderful porcelain tableware sets with spectacular watercolor splashes that are perfect for sophisticated and stylish table decoration. 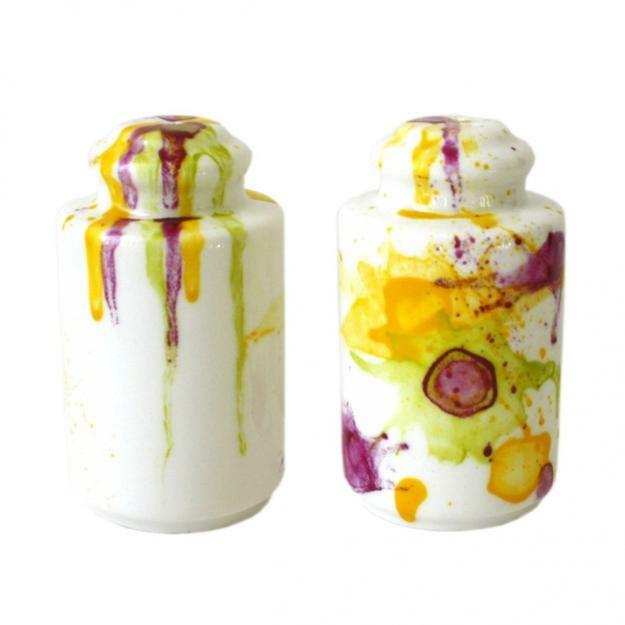 You can set an elegant table decor with very little effort and even less money, when you buy or make white tableware with bright details, like these watercolor splashes from Atelier Equilibre. Simple and colorful details transform white tables and create spectacular accents for table decoration. Fresh flowers or any other nature inspired decor theme will look fantastic with elegant white porcelain tableware and colorful details. These tableware designs are versatile and suitable for casual dining and something more sophisticated, special evenings with friends and family. 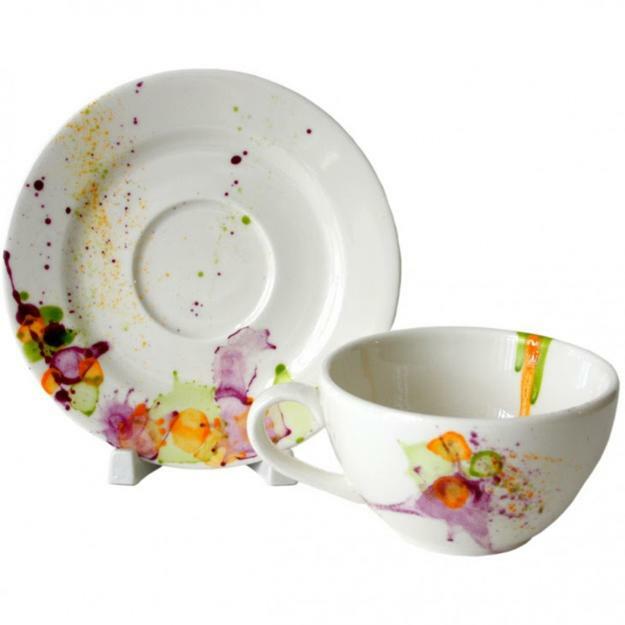 Colorful splashes add a touch of elegance to white porcelain tableware items and create a magnificent table decorations. Bright colors bring contrasts against the white tableware and tablecloth, offering a great start to a beautiful table decoration. Floral designs and looking very realistic splashes of color help to get back to nature and create impressive and modern table decor for any occasion. Various table decorations, inspired by nature, look fantastic with white porcelain tableware, giving contemporary vibe to your table decoration. Wood and jute, fabrics and sea shells make table decor look inviting, relaxing and creative.